Technology enhanced learning is a non-precisely defined term. In some context, it is used as a synonym for eLearning, in other context it refers to technology enhanced classrooms and means “learning with technology”. Many articles and books have been written to this topic. Today, technology in the classroom has become reality. Flexible (idealized) pedagogies have been developed and published. Missing is an appropriate pedagogic concept in onsite teaching for the teachers as well as an appropriate framework for teachers working in a technology enhanced environment. For technology enhanced teaching almost no literature exists. This gap will be filled by this book. 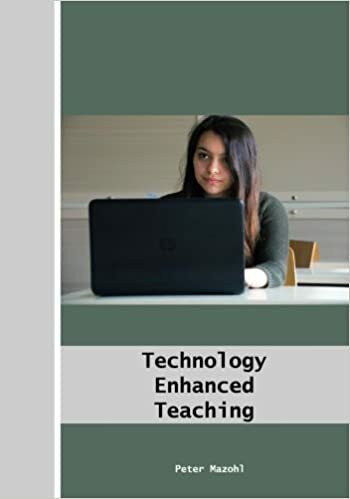 It describes a sophisticated and well proved method to handle lessons and offers an insight to all aspects of technology enhanced teaching and training. The book presents also a study about the teaching method, the results of five years testing of the method, and other interesting content. Additional, a short transferability guide to all learning sectors is included.